When and why to apply QoS for VoIP traffic? 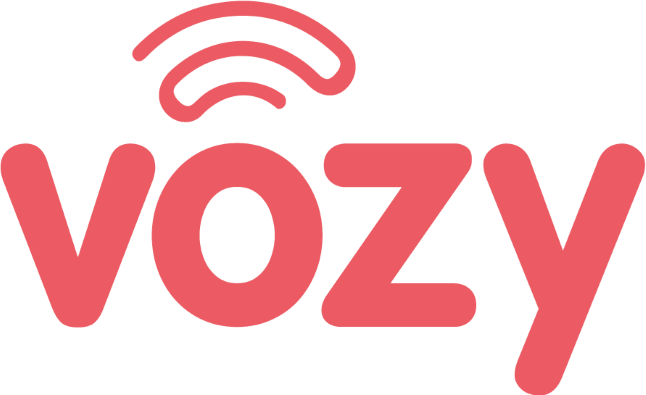 To solve some problems that can be presented in voice quality, it is necessary in this section to analyze an important parameter when it comes to improving the quality of communication through Vozy, this parameter is called "Quality of Service". The QoS configuration on your router provides the network with the ability to prioritize voice traffic over other packets of information being transmitted at the same time. The first step in this configuration is to allow the router to identify the different packet types, this is possible through the IP address that each data packet has associated for transmission, In this way the information is sorted to later give it an orderly transmission sequence. Once this classification is configured, The router is able to identify the packet that comes with the highest priority and make it pass first, Reducing in this way the delay that could be experienced if the QoS was not established. It is important to be clear that having a QoS configured will not cause information packets to travel faster than your network allows, But when other data are present in addition to the voice packets, the latter will pass first to the front of the tail. Queues are a functionality of routers that allow you to maintain stored data when they can not be sent immediately. Typically, routers use a transmission method called FIFO (First In, First Out) Which is to do the transmission according to the order of arrival, but with the configuration of the QoS will not follow this order, but the transmission sequence will be according to the order of importance of each packet, This means that low priority packets will be delayed while allowing high priority packets to continue. QoS tags can have different levels of importance, like high, medium, low or critical according to the need of your company. In order for the QoS configuration in your network to be well applied the router where it is implemented must be located on the LAN as a gateway device, It is recommended that you are after the ADSL modem. This is how you can reduce the experiences of broken voice in the conversations, produced when other applications hog the available bandwidth by forcing the voice stream to the end of the queue. As an example of these typical applications we can mention e-mail, games or videos. We clarify that configuring QoS on the router of your network will not cause the upload or download speed provided by your internet operator to increase. Usually, your provider has already established these loading and unloading limits which will depend on the contracted service. It is very important that you know the bandwidth you have contracted for your company, if you do not know, you can do some speed measurements, We recommend that you try to enter pingtest.net to make these measurements. Your ISP should also offer tools to measure if your connection is robust enough to support the VoIP service. If you are not getting at least 80% of what you have hired, We suggest you contact your ISP's technical support to solve this problem before moving on to other changes.